Kildare lies in the central eastern region of Ireland and dates back to the 5th century with the founding of the Church of the Oak, which later became the St. Brigid monastery. The location served as a very important Christian foundation in the country. The community also owes part of its history to the first international auto race, which ran through Kildare in 1903. Located in the old market house, the Kildare Town Heritage Centre welcomes visitors with an interesting history about the community. A guide dressed in 7th century monk robes explores the humble beginnings of the town from the time St. Brigid constructed her church in 480 A.D. 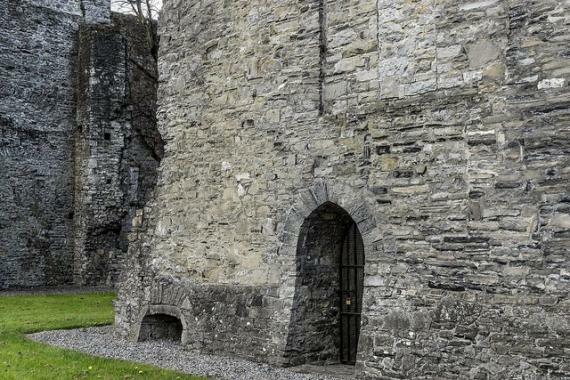 Hear about the Viking and Norman invasions and the stories behind the Round Tower, Cathedral and the remains of Castle Kildare. The renovated St. Brigid’s Cathedral stands on the site of the church founded by Brigid herself. The interior of the building features exquisite wood and stone carvings along with a variety of artefacts that include a 16th century vault, a medieval water font and religious seals. The 108 foot tall Round Tower enables guests to get a bird’s eye view over the area. The ornate doorway features Romanesque stonework. St. Brigid’s Well lies close to the Black Abbey at the National Stud and many believe the water holds healing properties. Horse lovers journey to the Irish National Stud, which breeds and raises the finest thoroughbreds in Ireland. Watch the stallions, mares and foals enjoying open spaces. Visit the Horse Museum and learn the story behind Arkle, the famous steeplechase horse and the history of the facility. The destination also offers the Japanese Gardens, established in 1906. The beautiful landscape bursts with colour and serenity along with the sound of gentle flowing streams. The National Stud also has St. Fiachra’s Gardens, which pay tribute to the patron saint of gardeners. Here guests find a combination of rock and water decorating the beauty of the surroundings that include woodlands, lakes, streams and waterfalls. Within an array of limestone lies a subterranean garden housing ferns, orchids and rocks shaped from Waterford Crystal. The Curragh plains lie outside of the community and served as a filming location for the Mel Gibson movie “Braveheart.” From the first century, Romans raced horses here and professional races began in the 1700s. The community constructed the Curragh racetrack, which hosts a number of classic races that include the annual Budweiser Irish Derby. Find information about selected Hotels, apartments and rooms at Kildare to choose the perfect place for your accommodation.